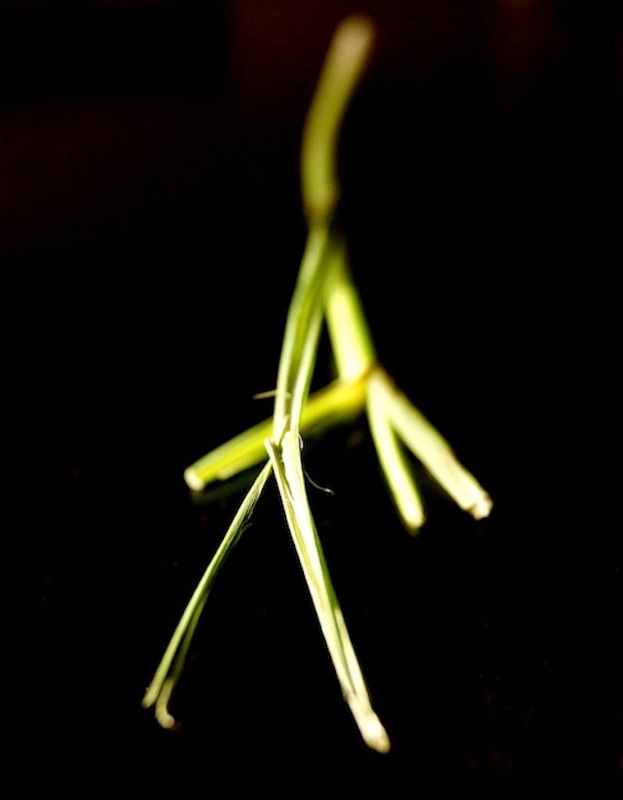 This photographic guide will show you how to use lemongrass. Lemongrass might seem like a daunting ingredient to use as it’s quite fibrous, but this method is easy! If you’ve never tasted anything with lemongrass in it, or taken in its alluring fragrance, I think you’re missing out. 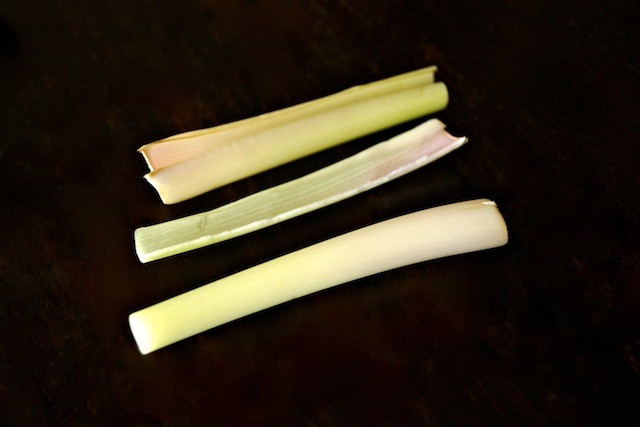 Lemongrass is a root that looks much like a scallion and tastes lemony. Lemongrass has more than the flavor of lemon though — it also has delicious, subtle notes of ginger, lime, and mint. Lemongrass is tough, fibrous and only a small portion of it can actually be used. It’s therefore often daunting to use. I’ve used this somewhat exotic ingredient many times in my life, and only learned the proper way to prepare it a couple of weeks ago. And lucky me, I learned this method from the delightful Katie Chin at a signing for her latest book, Everyday Thai Cooking, at Melissa’s Produce. With this awesome method, it’s super easy and the results are perfect. Be daunted no more. Step 1: You will only be using the bottom white portion of the lemongrass, so cut off all of the dark green. 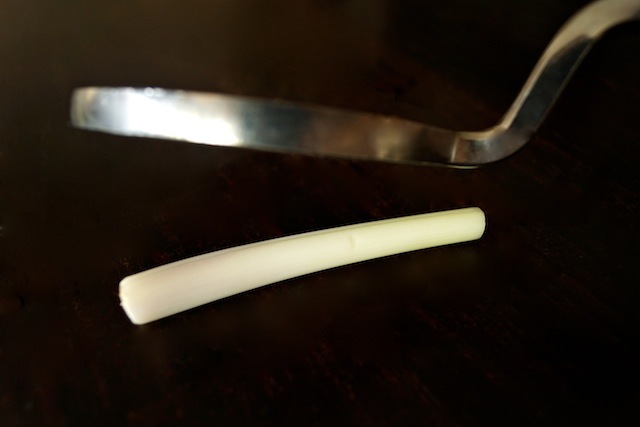 Step 2: Use your fingers to gently split, and then pull away the top layer of the lemongrass. It should come off in one piece. Sometimes it’s necessary to take off a second layer — to get to the softest portion of the lemongrass. Step 3: Now use a meat mallet to firmly, but gently, smash the remaining lemongrass. 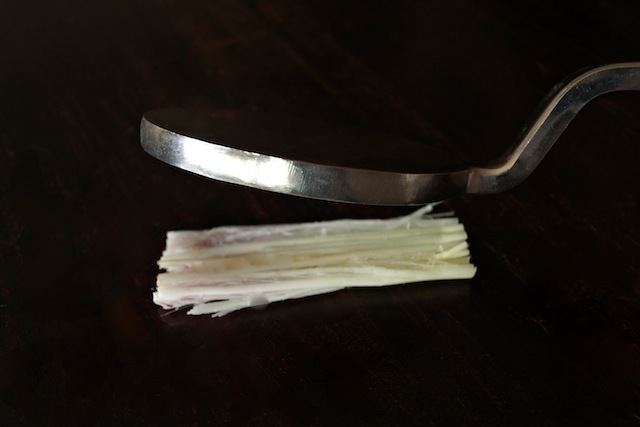 Step 4: Use a Chef’s knife to finely chop smashed lemongrass. It’s brilliant, and ready for a stir-fry, marinade, soup, or wherever you think it belongs. 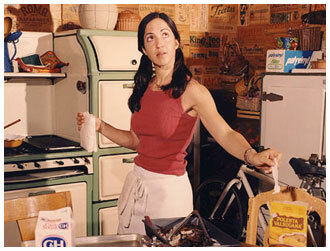 Later this month I’ll be doing a giveaway for Katie Chin’s, Everyday Thai Cooking, so please stay tuned. Great post Valentina – I often have people asking me how to use lemongrass now I know where to refer them. Great tutorial with gorgeous pictures of such a simple subject! You are impressive, Valentina! Adore the tutorial! Lemongrass imparts such a lush flavor and only wish it were easier to find locally! David, so cool it’s growing in your yard! I’m planting mine soon. Though my thumb isn’t very green. 😉 P.S. Love the pun. Hey – I just learned something new! This is really cool – and the pictures are amazing! Thanks for posting. This is such a great tutorial on how to use lemongrass! I have only used it a few times in cooking and in the dried version, but now I think I need to get my hands on some of the fresh stuff!